2005 FREIGHTLINER COLUMBIA CL120 FULL ROLLING CHASSIS AND CAB NO MOTOR NO TRANSMISSION HAS EVERYTHING ELSE!! THIS TRUCK TRACTOR CAN BE PUT BACK TOGETHER! 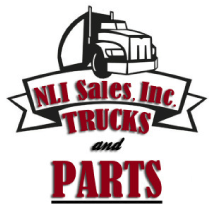 MORE INFORMATION ON THIS TRUCK: MODEL CL120064S T BASE MODEL CL120 CHASSIS: L 28', W 8 1/2', H 3 1/2' TOTAL H 13' CAB: L 11 1/2', W 8', H 9' SLEEPER: 5' HOOD: L 6', W 8', H 3 1/2' PLEASE NOTE: ONLY WHAT YOU SEE IN THE PICTURE IS INCLUDED. 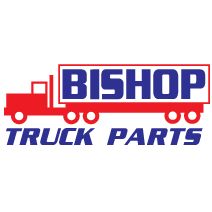 FRONT AXLE: AF-12 0-3 12,000# FF1 69.0 KPI/3.50 DROP FRONT AXLE: 739912-A030476 1ST INT AXLE: ART-40 0-4 40,000# R-SERIES TANDEM REAR AXLE 1ST INT AXLE: 771AAC-A001908H REAR AXLE: ART-40 0-4 40,000# R-SERIES TANDEM REAR AXLE REAR AXLE: 771AAC-A001908T RATIO: 3.58 Please Note: VIN# 1FUJA6CK15LU90179 We can help with loading!! COLUMBIA RED DAY CAB. PERFECT CONDITION. CLEAN SOUTHERN TRUCK CAB. '05 Freightliner columbia CL120 double bunk groomed sleeper, White with grey and blue interior, dual blue cloth air ride seats, fully furnished, bunk storage door latches broken. Wired for DDC60 engine with manual eaton trans, power windows and mirrors, grant steering wheel, good glass all around, straight cab, extension fairings are included but damaged, paint is bubbling at door handle on driverside. Columbia groomed cab setup for air suspension gauge, axle temp, pyro, boost, engine brake etc... wired for OM460 LA and eaton manual trans. Dash and steering wheel peeling. 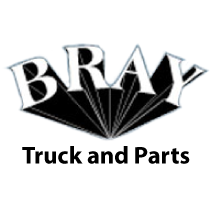 '07 Freightliner CL120 single bunk flat top sleeper wired for Mercedes MBE4000 with Eaton manual trans, power RH window with manual LH, heated / power mirrors, air driver seat, fixed passenger seat with roof fairing and side extension fairings. Good glass, only issue is Driver side interior sun visor broken, otherwise cab is spotless in and out. COMPLETE DOOR TO DOOR CAB,MANUAL TRANS CAB.NO DAMAGE. CLEAN.NICE GLASS,GRANT WHEEL,ALL ACCESS.INCLUDED.